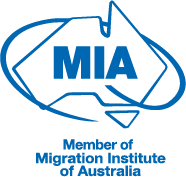 If you wish to emigrate to Australia with a child under the age of 18 years, but the child's biological parent/s will not be migrating with you, you will be required to obtain the consent of the remaining parent/s to the child's migration. Consent can be provided either in a statutory declaration from the child's parent/s, or by completion of the Department of Immigration and Border Protection's (DIBP) Form 1229. If you cannot obtain parental consent, the DIBP will accept a court order made for the child's relocation. In South Africa, you will need to approach the High Court to obtain a court order, and you'll need to prove that the child's migration to Australia is in the child's best interests. You'll need to point to elements of Australian culture and lifestyle that will benefit the child, and prove that these benefits outweigh any benefit to the child in remaining in their home country. Generally, given the sometimes difficult conditions attached to raising a child in South Africa, and the many benefits to a child growing up in Australia, the South African courts are sympathetic to these applications provided they are thoroughly motivated. Parental consent applications can be very complex and expensive so it is vitally important that you retain a lawyer who is successfully experienced in such applications. As lawyers and migration agents, Pathway's team can help you manage the stresses of both the migration process and any associated legal matters. Our lawyers are experienced in successfully bringing High Court applications for the parental consent court order, and with legal and migration experience in both South Africa and Australia, we are uniquely placed to accurately motivate the application in the best interests of your child. If you think you will, or are already having difficulty in obtaining the remaining parent's consent for your child's migration, speak to our qualified legal team for immediate assistance.